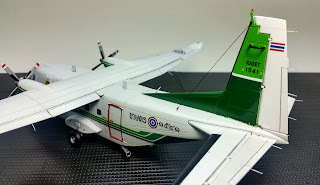 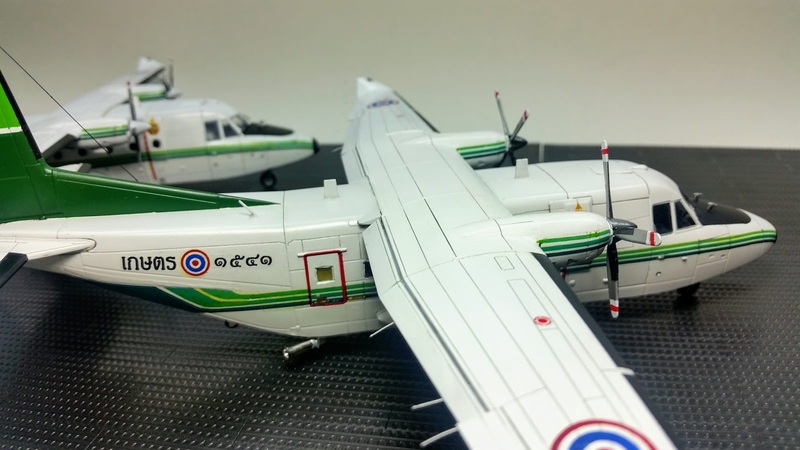 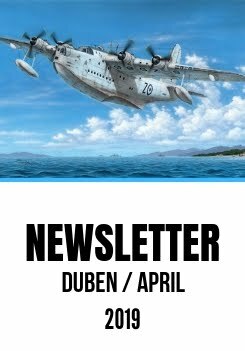 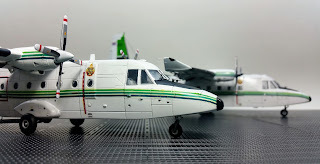 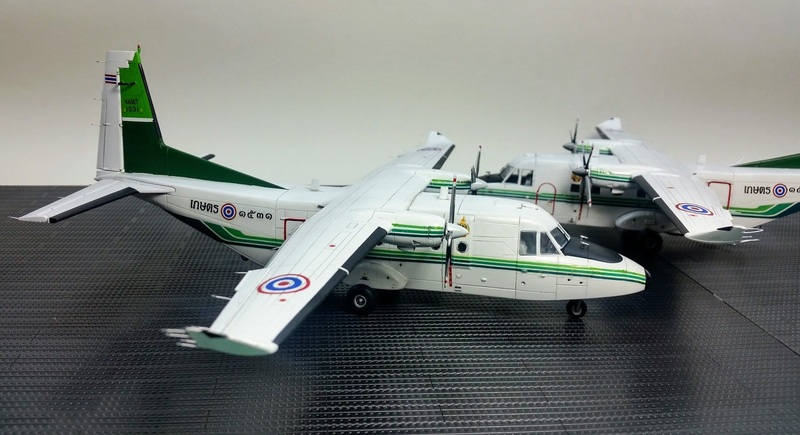 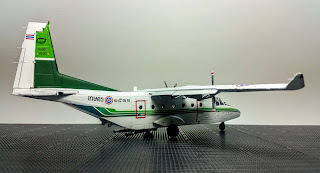 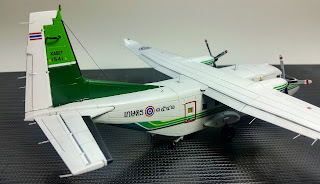 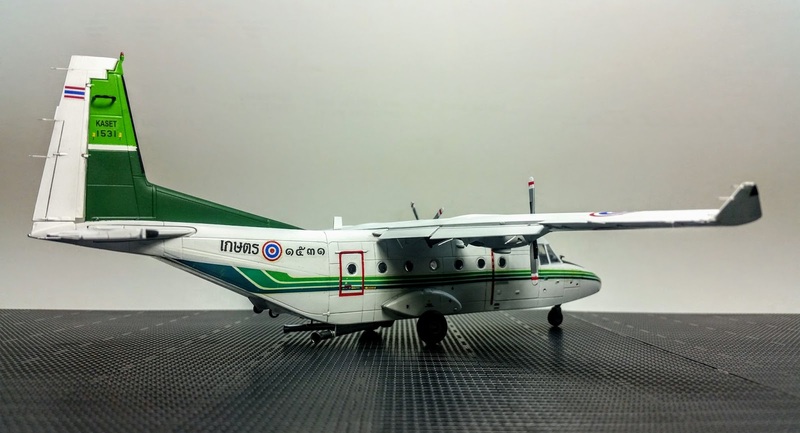 Supawat Putthitornworasit, clearly a gifted modeller from Thailand, has shared with us a couple of images showing his recently finished CASA 212-300/400 models as flown by the "Royal Rain Making" KASET. 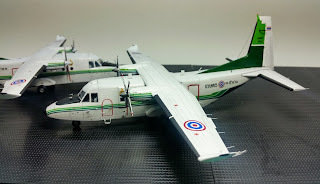 The decals used were his own, laser printed diy sheet. 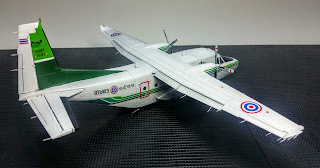 Great job, Supawat, thank you so much!